Hello! 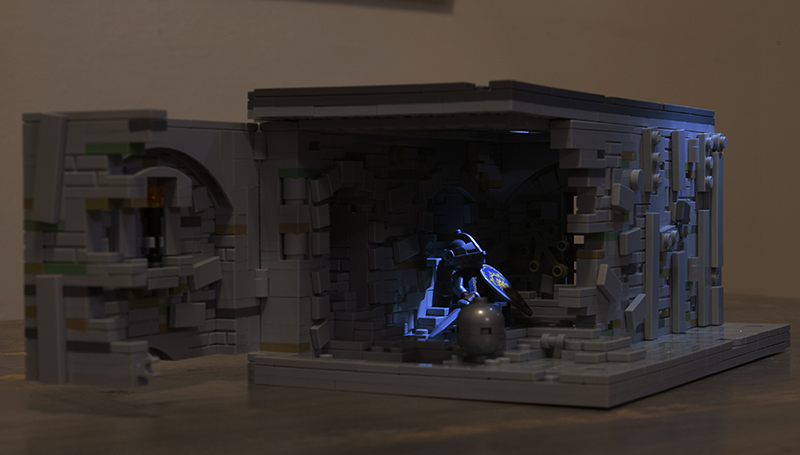 Thanks for your interest in this MOC. 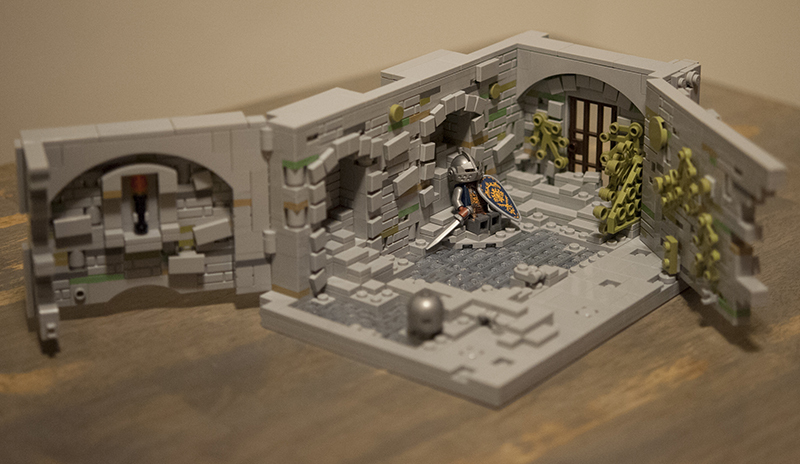 It is an interpretation of Oscar's room from the Undead Asylum in Dark Souls. You find Oscar, the knight of Astora who was mortally injured by a fall through the ceiling shortly after helping you escape your cell at the beginning of the game. In his last moments of humanity, he both sets you toward your journey and bestows upon you a vital Estus flask. This was an important moment in the Dark Souls experience that I wanted to capture. 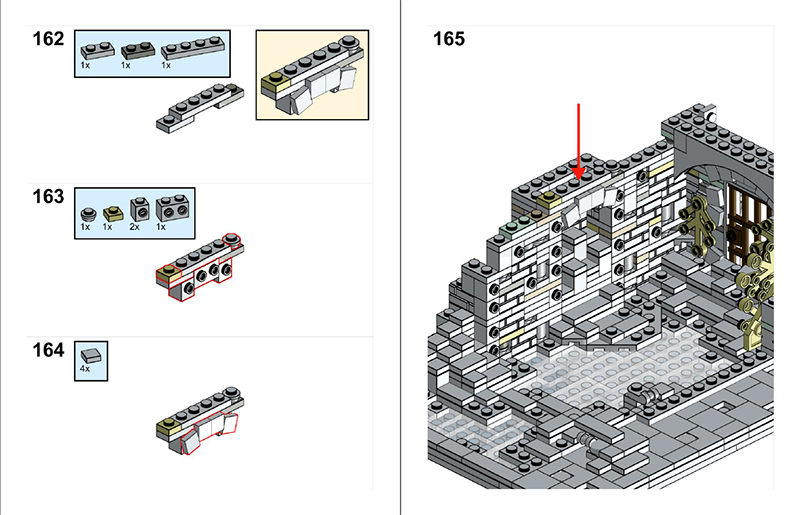 The MOC is 1138 pieces including the minifigure. Please note that the minifigure in the video uses a custom torso and shield available at https://saber-scorpion.com/product/minifig-fantasy-dark-spirit-hero/ however the instructions/parts list instead use a very similar (and cheaper) official Lego torso and shield if you prefer. 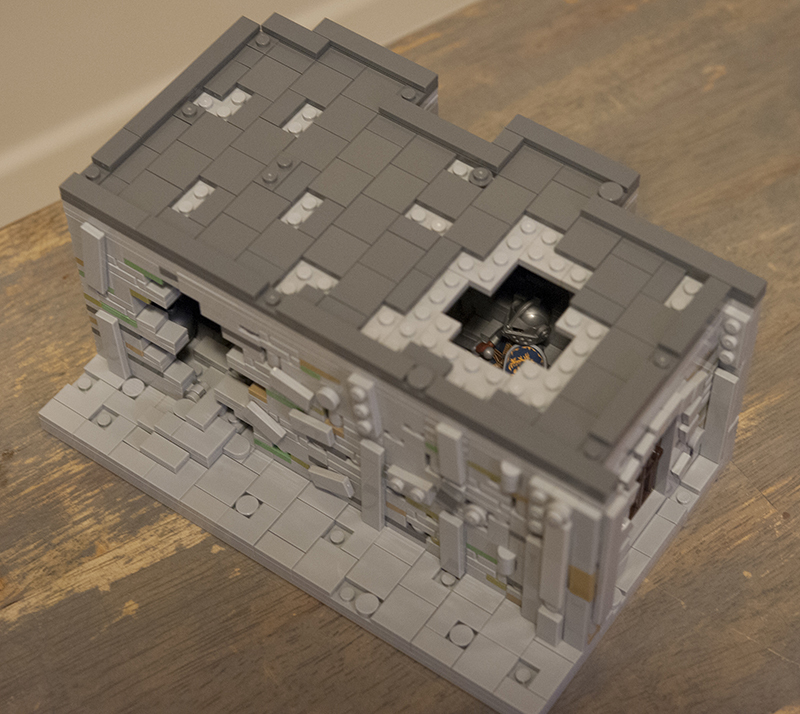 The entire project was initially created in Stud.io and verified/tweaked through a real build. The instructions contain the .io file as well as high quality PDF instructions including a custom cover/back cover page. The PDF is designed to be booklet printable if desired as well. The .io file detects a collision with the large arches, however it is incorrect and is not an issue with actual bricks. The color scheme is not absolutely critical as it mostly intended to add character and variety to the MOC and can vary based on available parts/colors. The majority of the build is made from light bluish gray, with other environmental colors being dark tan, sand green and olive green.